Can Watches Be Worn on the Right Hand? There exists a huge misconception that watches belong on the left wrist, but that couldn’t be more wrong. 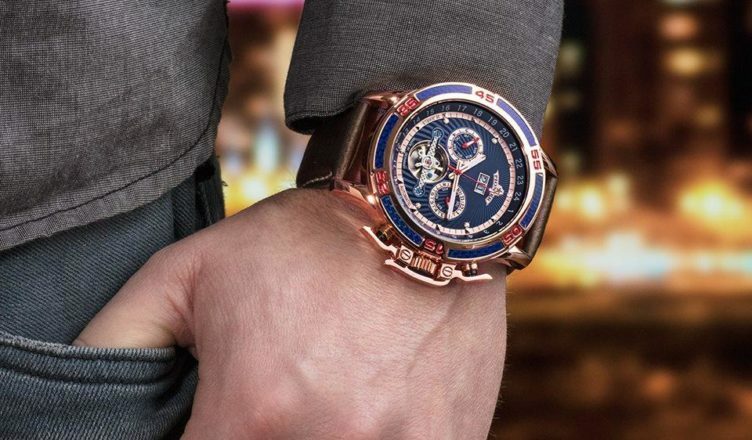 It’s easy to fall into the trap of believing timepieces should be worn on the left because the majority of people wear their watches on the left wrist. But that’s simply because most people in the world have their right hand as their dominant hand. Historically, soldiers would always wear their watch on their left as their right hand would be busy carrying weapons and doing a lot of the work, and having a watch on that wrist would just get in the way and leave the watch more prone to damage, and would also hinder some of the movement on their right side. Watchmakers then accepted wearing the watch on the left wrist as the norm and designed their watches with that in mind. For instance, both Quartz watches and mechanical watches would often place the crown on the right-hand side of the watch, making it easier to wind with the watch on the left wrist. Another example would be how most watch buckles are easier to adjust when on the left wrist. After all that information, it would be safe to assume that wearing your watch on the left wrist is the rule of thumb, but that isn’t the case. The more accurate rule of thumb when it comes to wearing watches is to wear your watch on your lest active wrist. So this means if you’re right-handed, it would be ideal to wear your watch on the left wrist and to wear it on the right if you’re left-handed. This rule exists for practicality and nothing else as going through the day would be much easier if you didn’t have a timepiece on your active hand. Watches were designed to practical and comfortable, as you would usually wear your watch throughout the entire day. So if you find it more comfortable to wear your watch on your right wrist, there is absolutely no problem with that! Because, at the end of the day, it isn’t important what wrist you put your watch on, but it is important that you feel good wearing your watch!